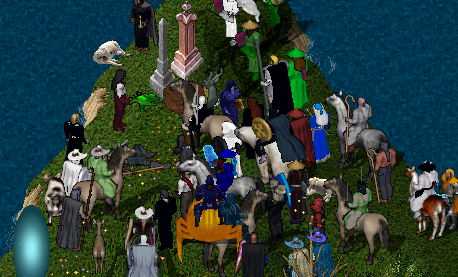 [IC News] A Game of Thrones: Aristocrats Gather to Honor Lord Edwin Christianson. 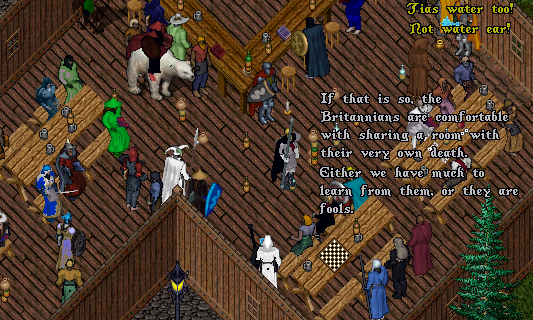 Tonight Citizens and members of the Britannian Aristocracy came out to honor Edwin Christianson of Trinsic. Few knew the man personally. But those who did described him with the common appellations: Good. Honest. Compassionate. Virtuous. Some came to watch. Others to pay lip service in an attempt to court the new Councilor: Charlotte. Charlotte – in a move that shocked some and amused others – did not promise compassion or forgiveness to those responsible for her kidnapping and her fathers demise. 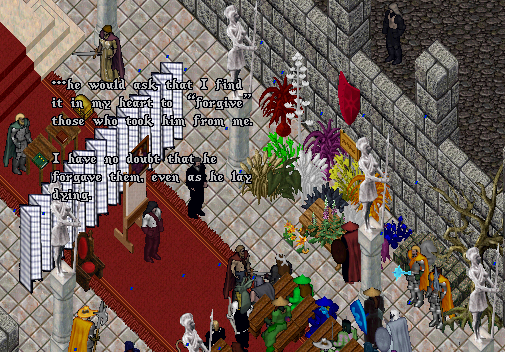 Instead she crumpled the speech she had planned and stormed out of the Throne Room …leaving behind a bewildered Priest and several scandalized spectators. Christianson has been well received in the short time since her appointment. But there have also been questions raised regarding the nature of her fathers death and her abductors. Only time will tell. Edwin and Gwyneth Christianson are buried on Barrier Isle east of Trinsic. Those who wish to pay their respects are welcome to do so. ← [EM News] Britannian Charter Passes. Ceremony to be held Sunday at 9:00 PM PST / 12:00 AM EST.